The premier poetry critic takes a step back. 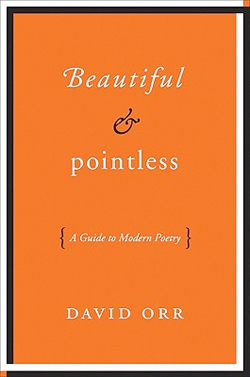 “This book is about modern poetry.” That’s how David Orr begins his introduction to Beautiful and Pointless: A Guide to Modern Poetry. It is a fine way to begin a book. But it isn’t true.